Q: Why was there such a big decrease in my Handicap Index on the 3rd of September? 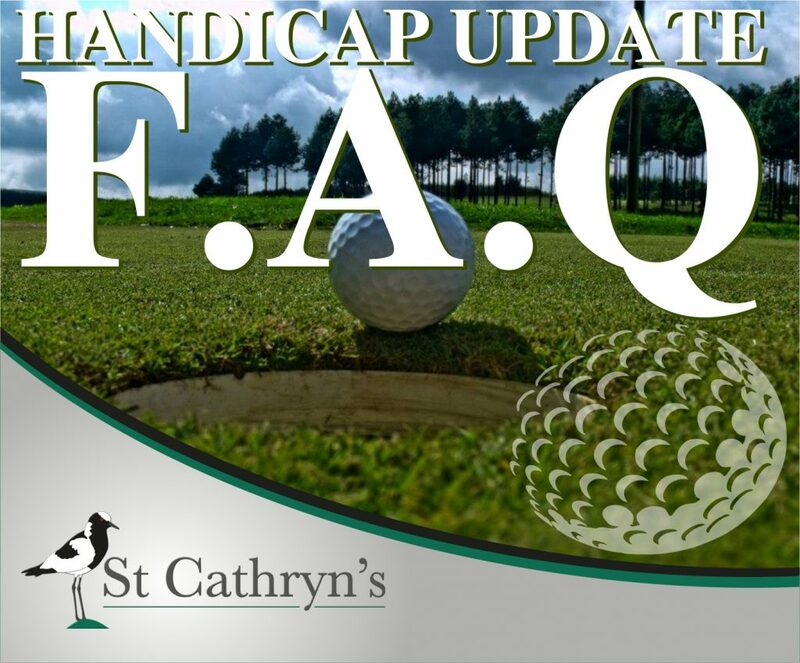 A: There are two reasons: Firstly the calculation of a Handicap Index is based on a different formula to the old Handicap calculation, and it now includes an adjustment according to the Slope of the tee played. This is, of course, reversed when you get a Course Handicap. Secondly, we recalculated the last 20 differentials in all golfers’ scoring records using the new USGA Course Ratings and, at many courses, these are 1 to 1.5 shots higher than the old SAGA Course Ratings. This increase in the Course Ratings will have the effect of reducing a players handicap by the same amount, if a large percentage of the best 10 rounds in their scoring record were played off a tee with a higher rating. Q: There are certain tees at our club that only male golfers can play off. As a female golfer, why can’t I also play off them? A: The GolfRSA course rating teams that went round South Africa rating the courses rated all the tees for men and the front two for women. The women’s rating criteria are different to men. So now women can choose the front two tees at most courses instead of historically just the one. Q: Our club has removed what was formerly called the Senior tees, and now I’m forced to play off the Ladies tees, which our club politely calls the ‘Red’ tees. Why can’t we get the Blue/Senior tees back? A: How many Tees a club has is a club decision. Historically, at many clubs there were three Mens tees: Front, Club and Back/Championship, and one Ladies tee. These were changed with the adoption of the USGA system to (shortest to longest) Red, Blue, White and Yellow. At some clubs the Red and Blue ratings were so close that it was decided not to keep both. Q: Why did all of my friends’ penalty scores disappear on the 3rd of September? A: It was not possible to recalculate scores and penalty scores, so the penalty scores were dropped at the change over, and will now be applied again. Q: I’ve seen on certain Course Handicap Conversion Tables that a player’s Course Handicap can go above 36. Is this true? A: Yes, if a player with a handicap close to 36 is playing off a course with a high Slope and a high Course Rating. Q: I’m playing in a golf day in a week’s time but don’t have an official Handicap Index. What should I play off? A: The GolfRSA Handicap Rules stipulate that men players without an official Handicap Index should play off a maximum course handicap of 16 and women off 24. Q: The Course Ratings at our club haven’t changed by much, and yet my historical differentials for rounds played at my club have changed considerably. Why is that? So, as you can see, the differentials are reduced or increased depending on the Slope of the colour course played. Q: Why do you discriminate against Android users? I’ve seen the HNA Handicaps App on my friend’s iPhone and it not only looks 10 times better, but it’s also much more user friendly – especially with regards to the Course Handicap Calculator. A: The new-look Android App is currently in development and should be available for download soon. We thank you for your patience. Q: I see you used a Slope Rating of 113 when re-calculating my historical foreign rounds. Why 113? A: The GolfRSA Handicap System does not have access to the Course Rating and Slope values of international courses, so it is up to the players to record these values for foreign rounds. The foreign rounds historically recorded did not have a Slope value, so by using the standard value for a course of 113, the differential is multiplied by 113/113, and so it remains unchanged in a player’s scoring record.